Air Duct Cleaning Alhambra is the choice of many clients around California to provide the best cleaning and maintenance services, anytime of the day. Our emergency servicing is here to set the appointment as soon as possible and our servicemen are ready to do the job whenever needed. Air ducts need regular check-up, cleaning and maintenance, just like everything else you own. Let your investment carry on for years by caring for your air ducts properly. Our skilled technicians at Air Duct Cleaning Alhambra are here to serve even the most complex air duct units around. Call us now for immediate assistance. 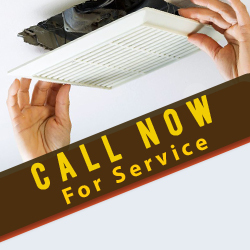 Our company has many years of experience in providing air duct cleaning services. We work with absolutely all types of HVAC systems regardless of their size, age and design. It does not matter what material the ductwork is made from either. Our tools are powerful and remove all sorts of contaminants including the tiniest dust and pollen particles without leaving even a single scratch on the cleaned surfaces. Rely on us to run full inspection and to repair and replace air ducts if required. Our service can easily extend to condenser unit cleaning if required. The end result of our work will be clean ductwork, more efficiently operating HVAC system and better indoor air quality. You can readily hire us for dryer vent cleaning as well.